Due to the heavy emphasis laid on sustainable packaging measures and a notable increase in the sorting and processing advancements, the demand for plastic in the US has substantially risen. The largest market for recycled plastic is the packaging sector as pointed out by market research conducted on industries in Cleveland. The main source of recycled plastics is bottles and the major plastic types are PET, high-density polyethylene, low-density polyethylene, and low-density polyethylene. An increased demand has been made for PET bottles in the recent days. A rise in the availability of thermoformed containers and beverage bottles has been noticed. ‘Sub par increases’ are also noticed in the HDPE collection, as a result of which, recycled resin is not in much demand. The Freedonia Group has estimated that the fastest growth will be observed in the LDPE market which would benefit from this unexpected turn in the market for constructions. Recyclables made of resins of smaller volumes like nylon and polypropylene are also expected to increase; this is because of collection of recyclables like plastic foam, consumer electronics, and carpets. Recycled plastics are also used in motor vehicles, interior applications, and fabrics as recorded by the Freedonia Group. However, there is not much change in the overall plastic recycling rate in the US. It still remains at about 6.5% of the total demand for plastic. 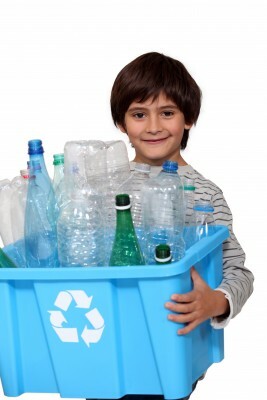 Recycling at major plastic industries such as motor vehicles and packaging film is still very minimal. This is mostly because of incompetent economical processing or collection capability. Serving trays: Wine bottles are arranged flatly to form trendy trays. Robot containers: Designs are etched on recycled glass to give it a snazzy appearance. The bottles can then be used as containers for dish soap and sauces. Designer bottles can also make chic vases. Plastic spouts and corks are still retained in the new form. Organic candles can also be beautifully contained in handcrafted recycled glass bottles. Such bottles have their rims smoothed. Christmas décor: A lot of interesting Christmas décor items can be made out of used plastic bottles. You just have to cut them open and experiment with the colored plastic.